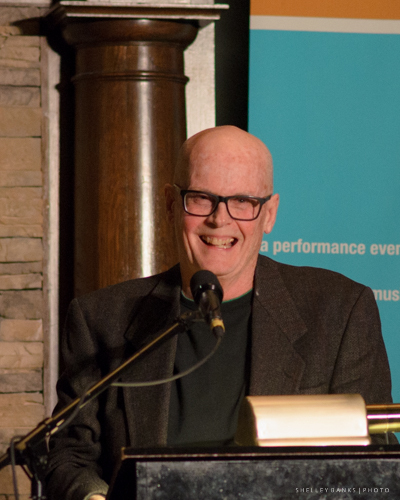 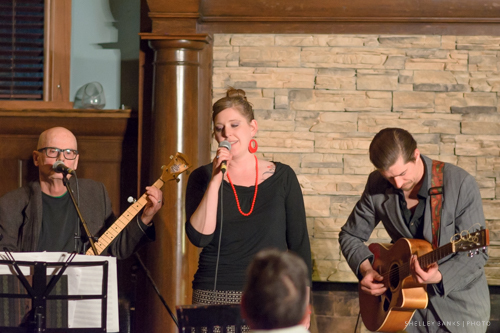 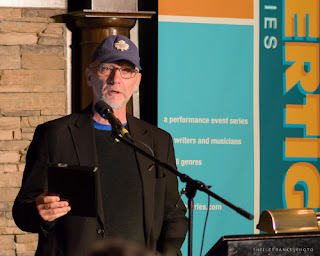 The March Vertigo Reading Series in Regina was lots of fun, especially when one of the readers (David Carpenter) formed an improv trio with host Tara Dawn Solheim and musician Rye Noble. 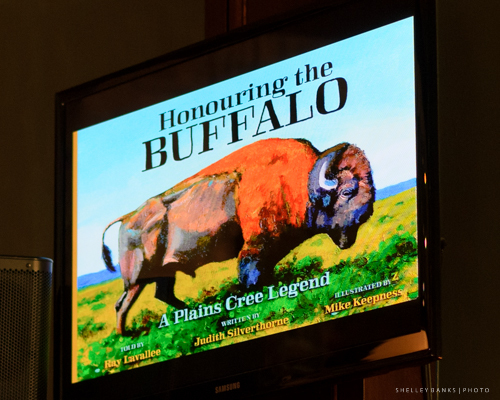 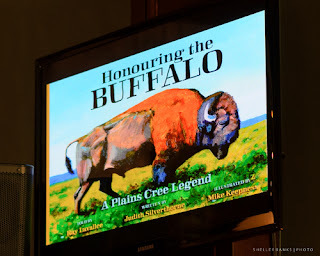 Other readers for the night were Judith Silverthorne, who shared a visual presentation of her new book, Honouring the Buffalo, and Gerald Hill, who presented new work from his recent writing residency in Toronto (hence the Maple Leafs hat). 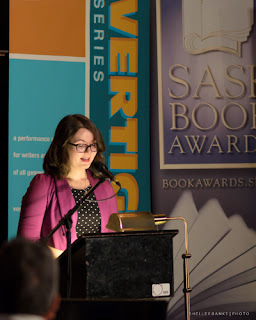 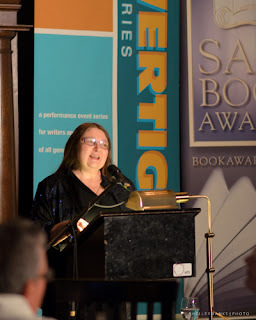 And, Courtney Bates-Hardy took to the stage to promote the upcoming Saskatchewan Book Awards.